It's hard to believe February is on the horizon! 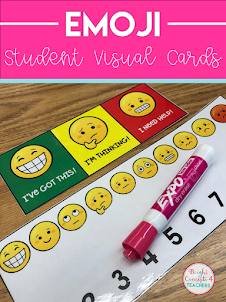 Mid year testing has begun, report cards are a few weeks away and it just seems as though there are a lot of distractions that are filling up our calendars and making it hard to stay focused. 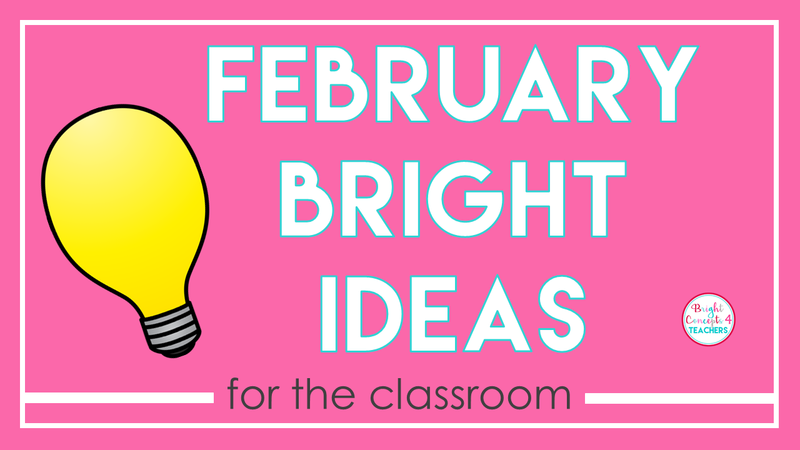 I hope you can take some ideas away from this post to make your planning easier and smoother for the month ahead. 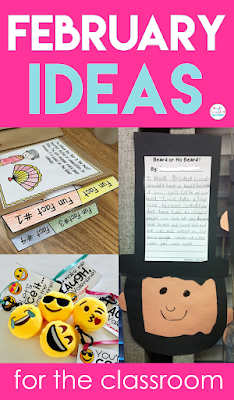 Pin the ideas you love most so you don't forget them. Believe it or not, not everything in the month of February is all hearts and butterflies. 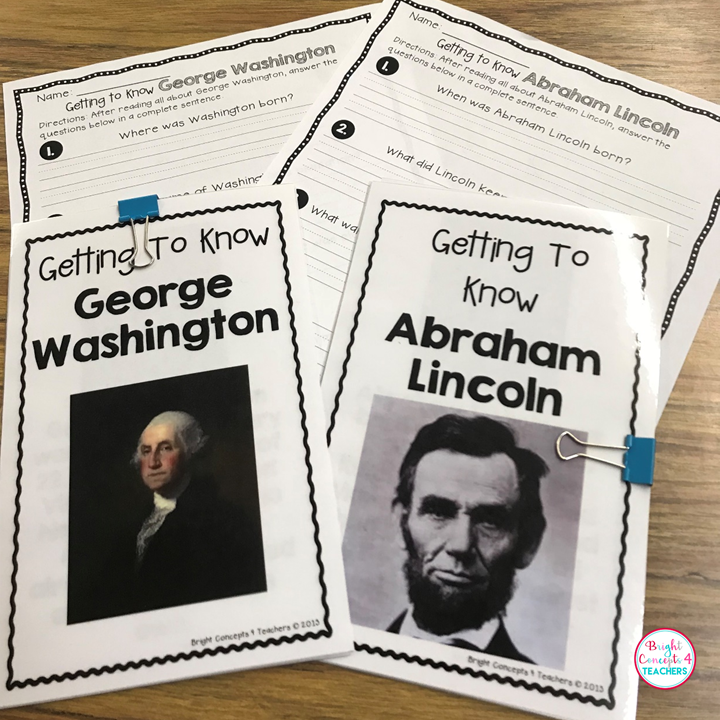 We spend a few lessons learning about Washington and Lincoln. 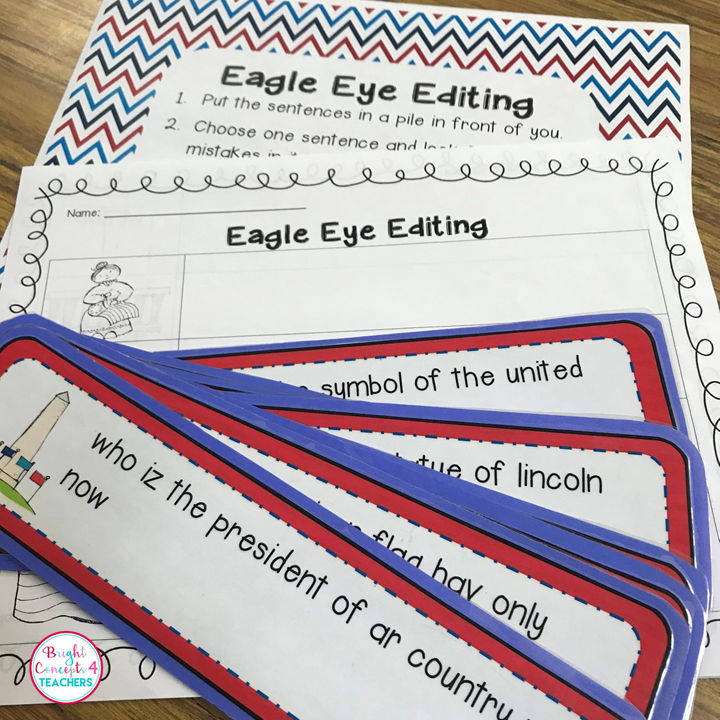 I either read them a picture book (see below) or I use independent reading passages, like these, to engage their attention. 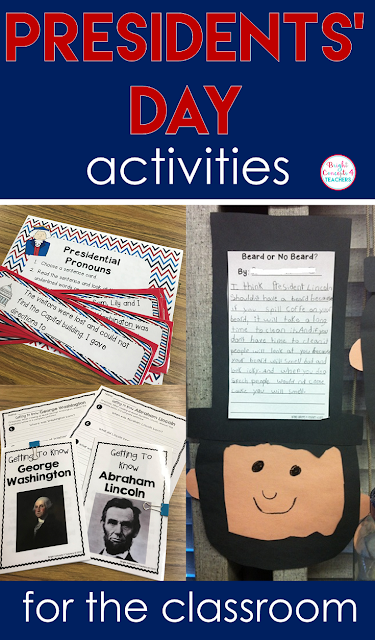 We also create a craft and write an opinion piece about whether on not Lincoln should have a beard. We write a compare/contrast story about the two presidents also. 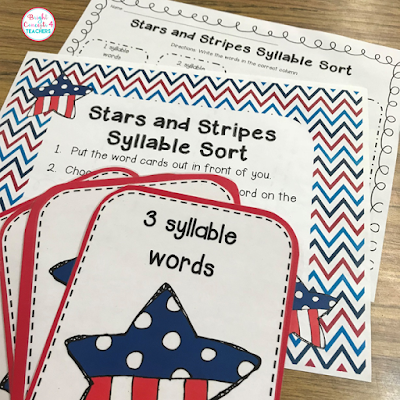 During small group time, we review grammar and phonics skills with different activities such as these. All these activities and much more, can be found in my Patriotic Presidents' Day resource. I love teaching my students about different cultures and countries around the world. It becomes even more meaningful when there are students in our class from the countries we are learning about. For Chinese New Year, we read a book about the holiday as a whole class. 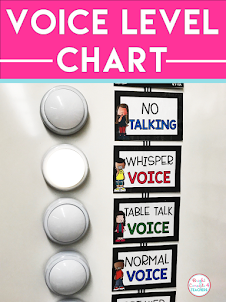 Then we create a chart about all the new things we have learned. 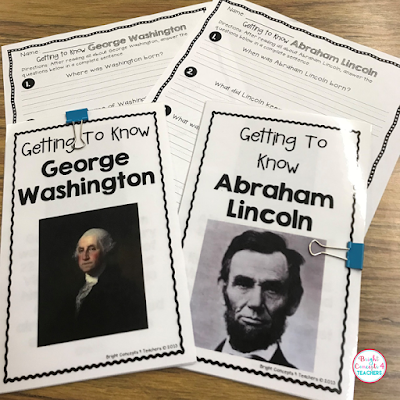 Students also read these independent passages and answer comprehension questions. 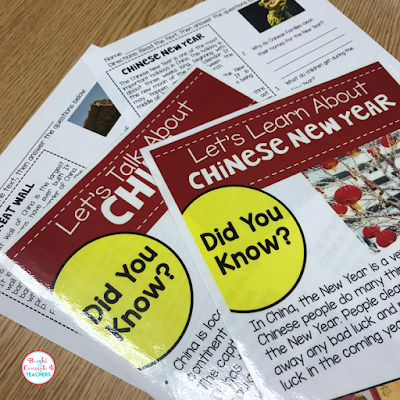 Each student makes a red envelope that we display in class. Then throughout the month they write kind words to one another about something positive they wish for the other person. My students' favorite activity during our unit of study is when we make our paper bag books. The kids love all the new information they learn and the interactive pieces they can manipulate. 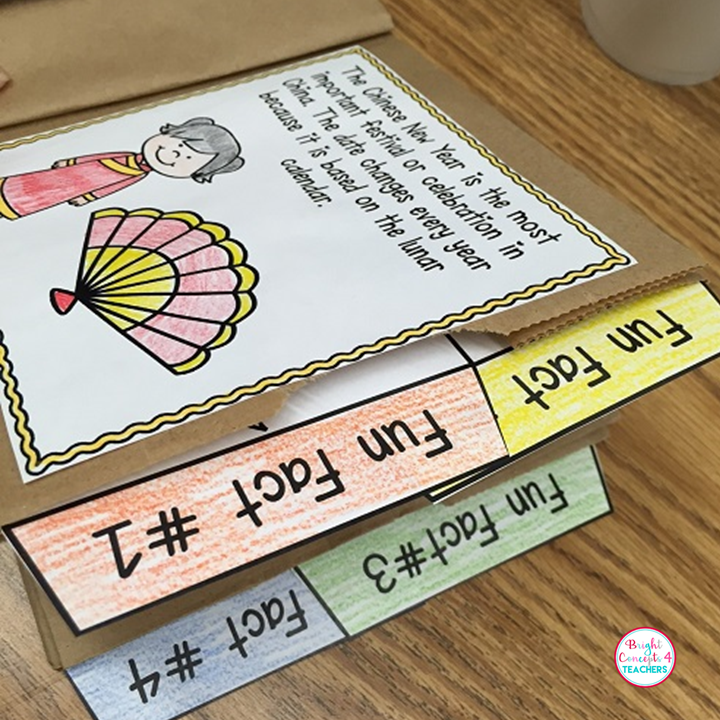 There seems to be a great sense of ownership and love of the information they get to share with their friends and family. 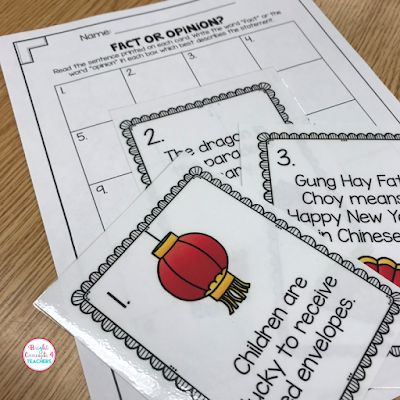 We also practice our fact and opinion skills with these Chinese New Year fact and opinion cards. I post them around the room and the students answer them on their paper when they have free time. 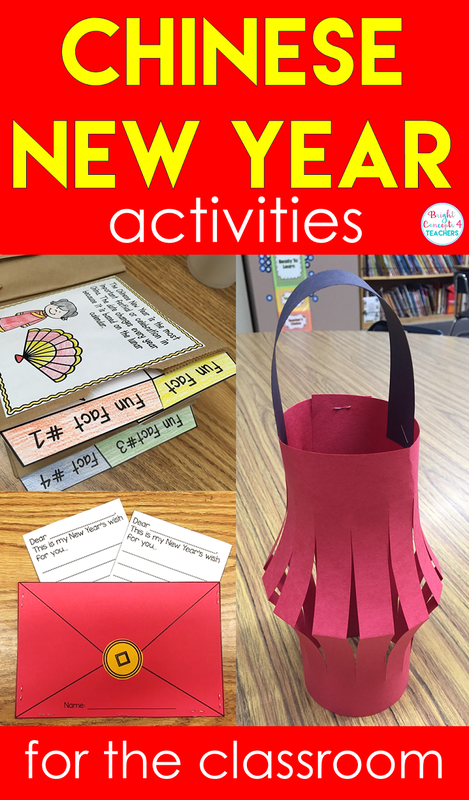 These activities and much more are all part of my Chinese New Year packet you can find HERE! I just added this little gem of a book, Little Leaders, to my collection to share with my students this next month. It features 40 inspiring and heroic women who took action in a time when they weren't always accepted. Knowingly or not they each helped to make the world a better place for young women of future generations. The Youngest Marcher is a very special story about the civil rights movement from the perspective of a young nine year old girl. It's a great story that gives kids the inspiration to speak up for what they believe in, no matter their age. Mr. Lincoln's Whiskers is my favorite book to use to introduce Abraham Lincoln to my students. 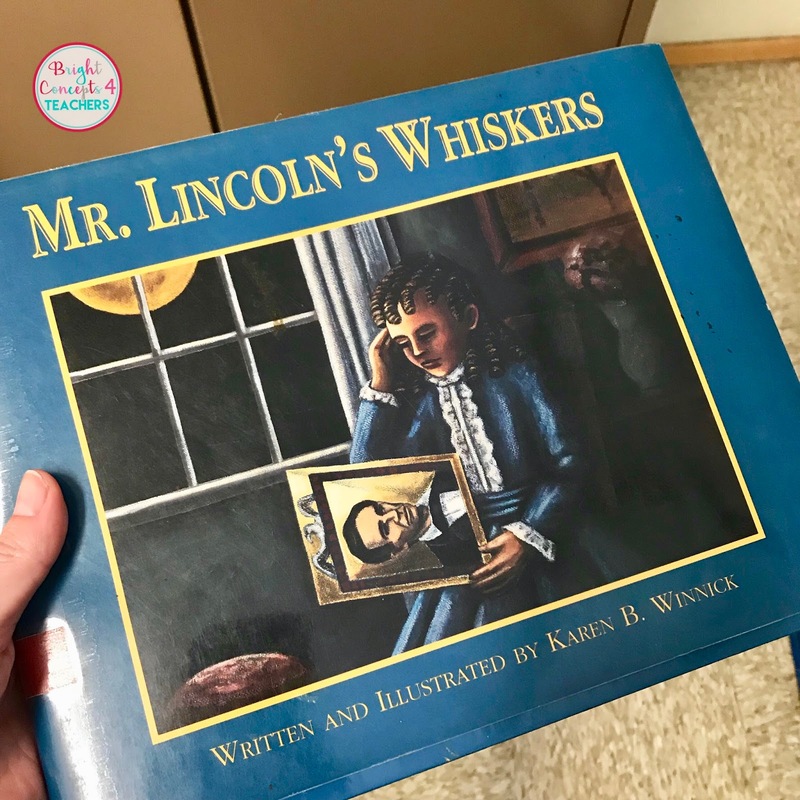 It's told from the perspective of a young eleven year old girl who wanted to know why President Lincoln decided to grow a beard. So, she wrote him a letter to ask for his answer. It's a true story that captures the sweet innocence of a child and her relationship with the President of the United States. 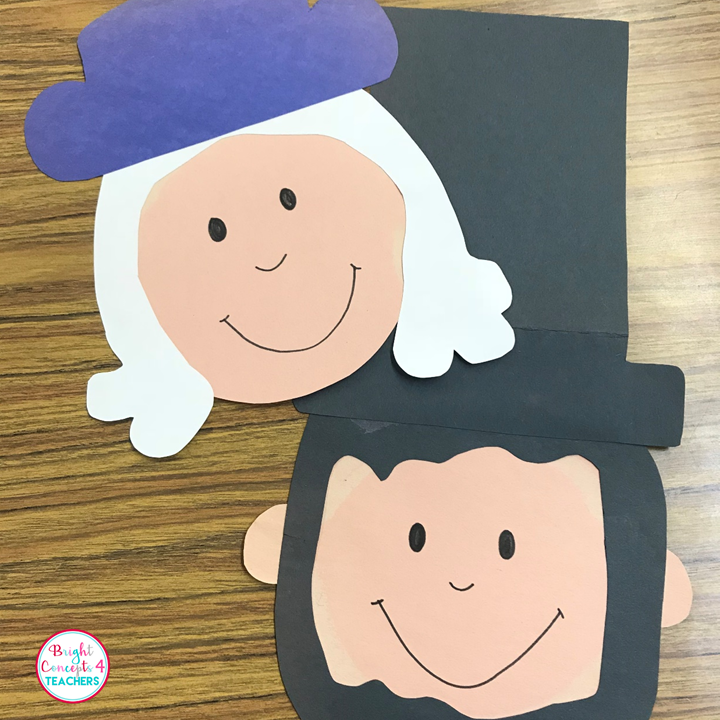 I love integrating language arts and math skills with some holiday fun whenever possible. 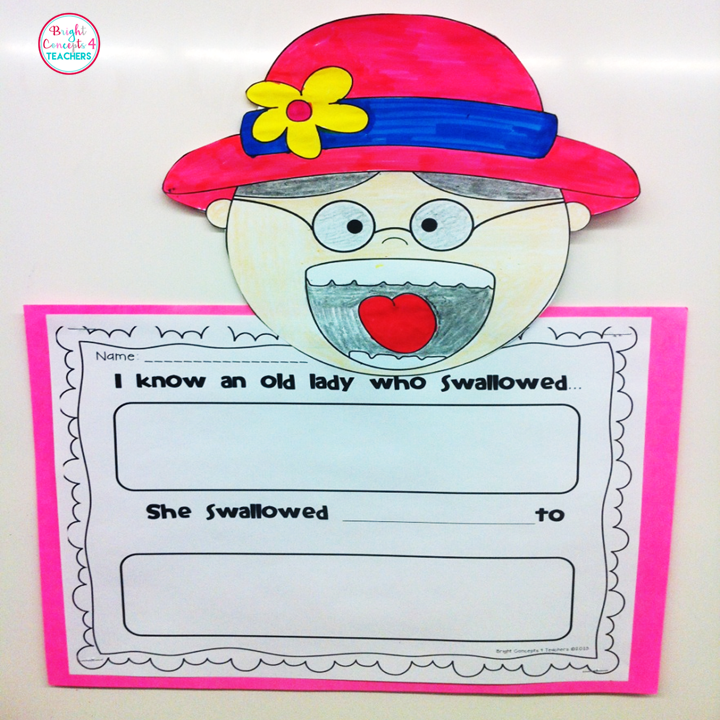 This is a follow up activity to the book There Was An Old Lady Who Swallowed A Rose. After we read the story, the students work on their comprehension and sequencing skills by choosing there favorite part of the story to write about and illustrate. 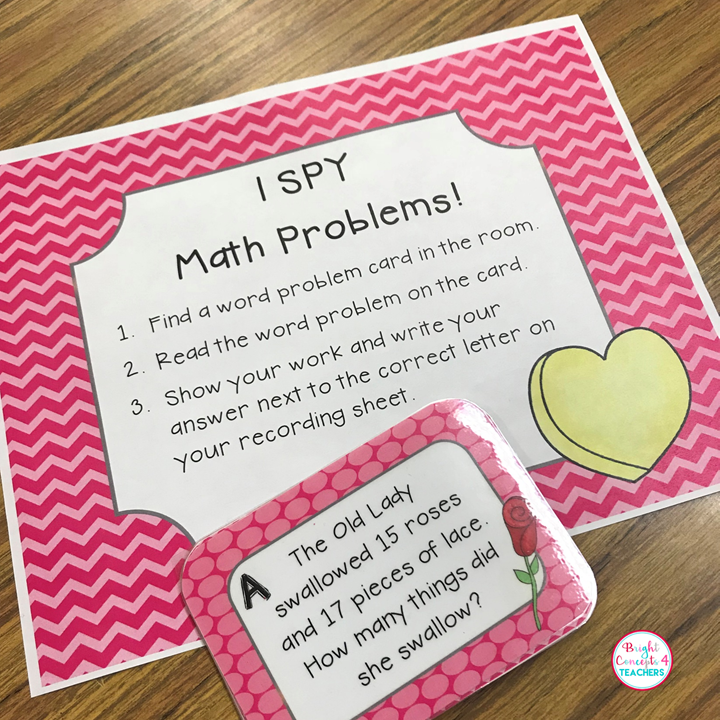 I also follow up the story with word problems and measuring activities to practice math skills we have learned through the year. Take a closer look HERE. 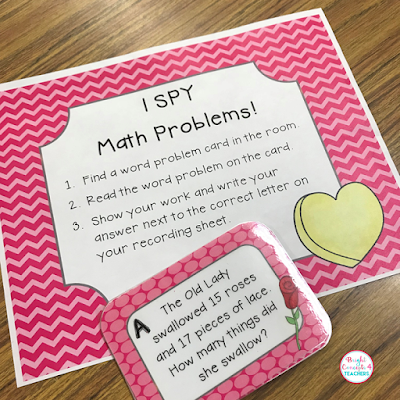 I love to challenge my students to review their math skills. 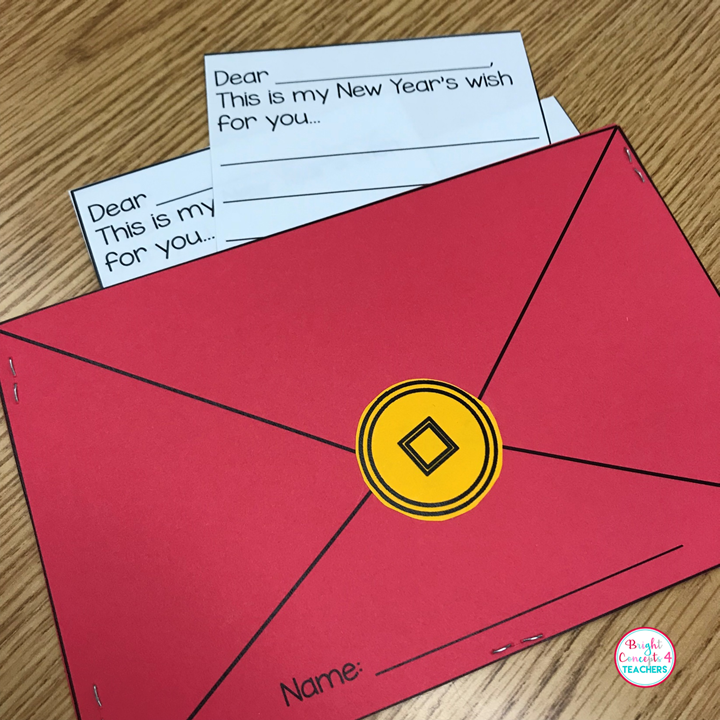 They love these Valentine task cards! 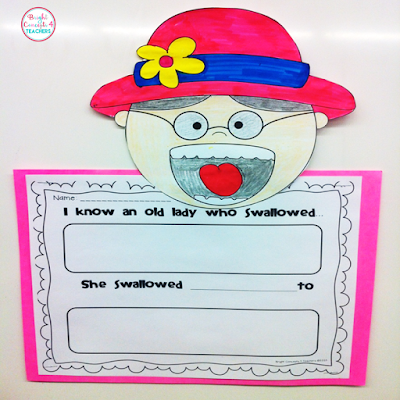 I love them because it force my students to show their work before choosing their answers. 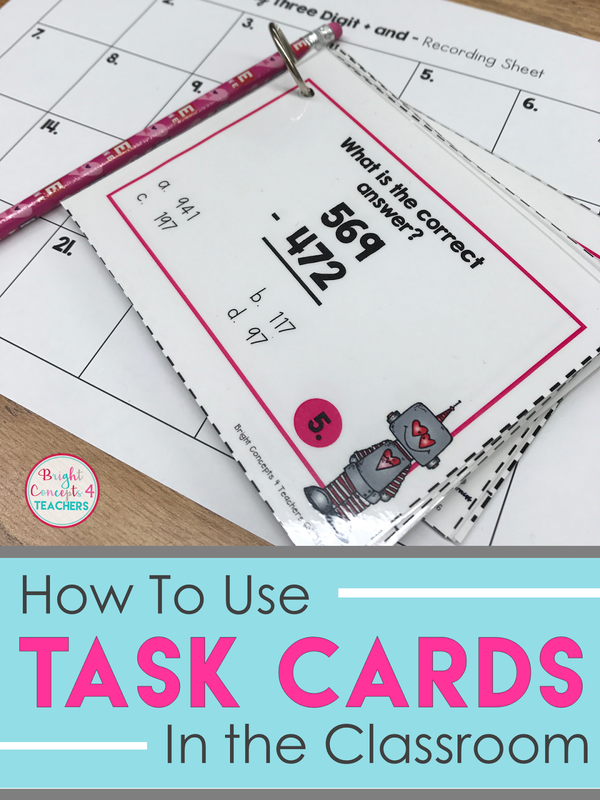 This allows me to see their thinking and help them to correct their errors when regrouping. 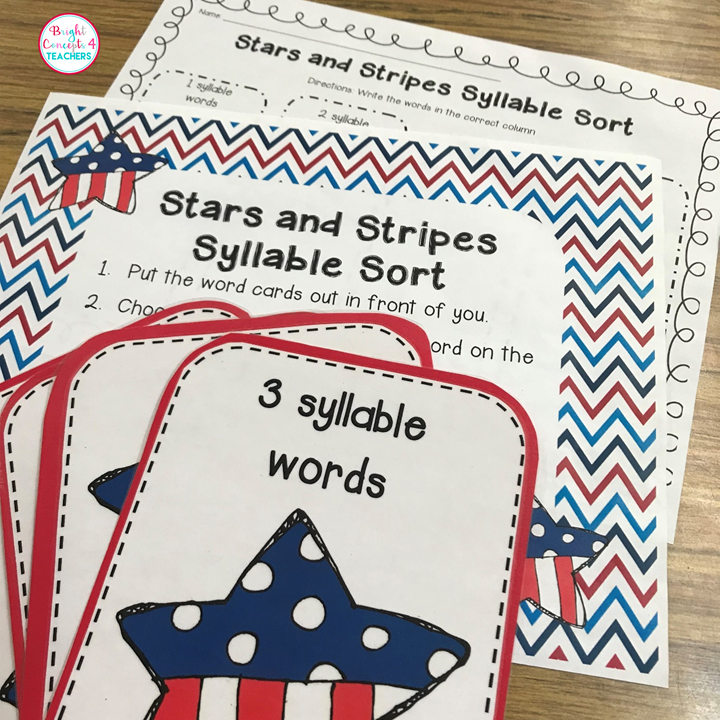 Grab your free set HERE. 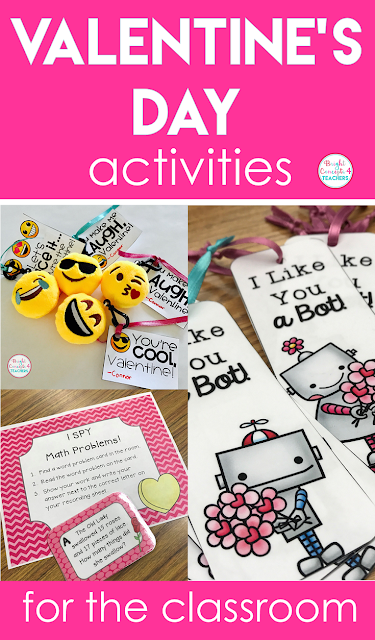 This is by far my FAVORITE Valentine gift to give to kids! What kid (or adult for that matter) doesn't love emojis? Well, I know I do and so do my own children. 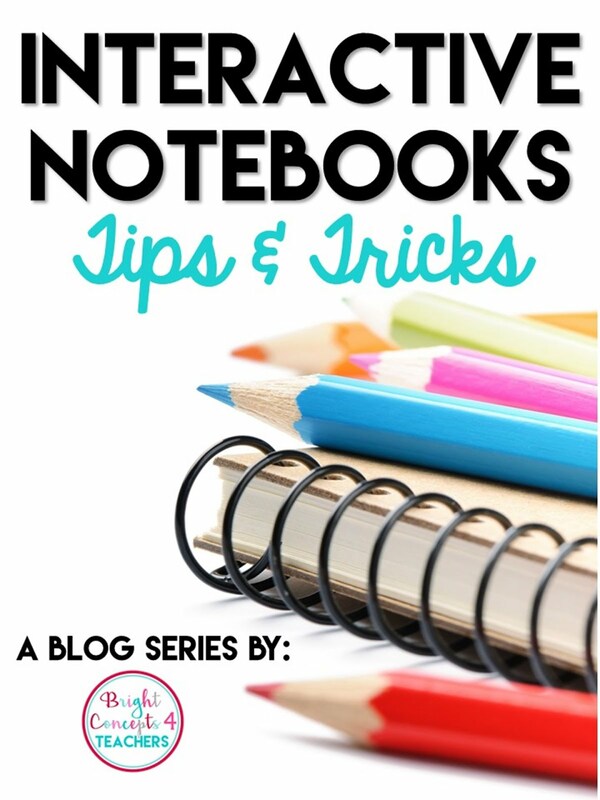 I fell in love with this idea as soon as I saw it! I ordered plush emoji key chains at Amazon and had them shipped to me the next day (gotta love Amazon Prime). Then I printed out these adorable tags from Molly at Lucky To Be In First and had my son signed his name. Ready to make your own set? 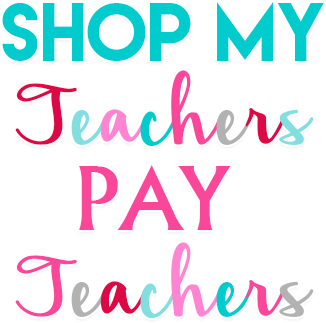 You can grab these tags for FREE by clicking HERE. 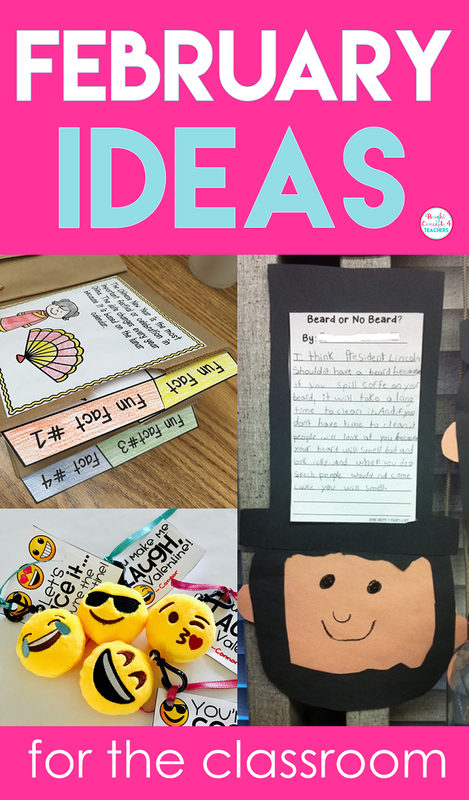 I hope you were able to grab a few ideas to use. Thanks for stopping by.